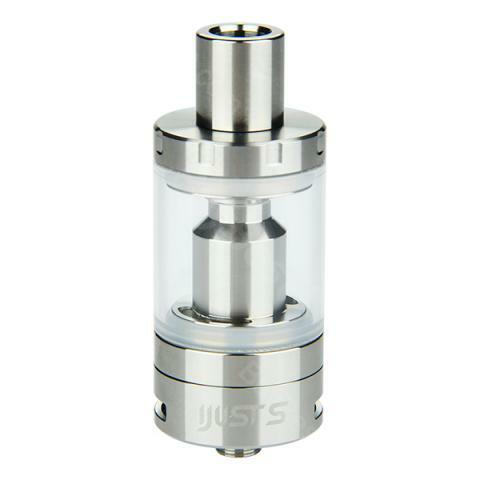 Eleaf iJust S Atomizer Tank with 24.5mm for a large e-juice capacity 4ml. It can be easily reassemble and detachable by Detachable Structure for Convenient Cleaning features. 7 colors are available. Eleaf iJust S Atomizer Tank with 24.5mm for a large e-juice capacity 4ml, which will be a good choice for those who vaping more frequency. This device can be easily refilled e-juice by top filling. This iJust S atomizer can be more convenient to reassemble and detachable by Detachable Structure for Convenient Cleaning features, which will be fit for iJust battery. What’s else, with silicone airflow control ring, you can easily control airflow, then get a better vaping flavor, without any heating or burnt taste. Here are seven colors for your selection. Cool vaporizer. I bought to the battery pack from just 2. my native broke. Works fine, though a little more in diameter, but this is nonsense. The only negative is the rubber ring. Very bad, i'll probably throw it away. I'm not a builder, ijust s tank works just fine with me. Flavor and vapor production both great. A well made tank with very cheap price. Just buy one and you will definitely love it. Eleaf ijust s came 3 days ago, so far no problem at all. 4ml is big enough for me, and the easy top refill is a breeze. Would recommend. Simple and beautiful, I like it. Love my new ijust s tank.